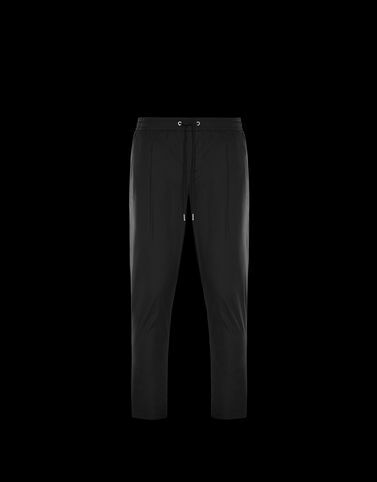 Casual gabardine trousers update the rules of sportswear with a contemporary design and an unexpected length. Irresistible comfort, fit and great attention to detail make them an essential part of the year-round wardrobe. Wash max 30°C - Mild process; Do not bleach; Do not tumble dry; Ironing maximum temperature 110°C - without steam; Dry cleaning in tetrachloroethene; Professional wet cleaning - mild process; Dry flat; Wash separately; It is advisable to wash and iron the garment on reverse.